There are currently no Monache notable alumni listed. Be the first to add an MHS famous alumni. If you know someone who graduated from MHS in Porterville, CA that has passed away, you can create a memorial for them. There are currently no memorials for Monache alumni. 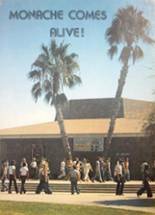 The alumni of MHS in Porterville, California are encouraged to use this site to relive their time in high school by sharing with former students and teachers of Monache High School. If you haven't already, we also encourage you to register for free on this site. You may also want to check out the latest news and school memories. 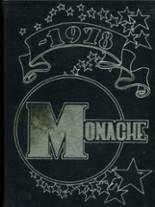 If you are a Monache alumn, we encourage you to register and be sure to sign up for the alumni newsletter. Cindy Anthony has someone searching for them. Christina Johnson has someone searching for them. Iliana Chacon has someone searching for them. Lori Duncan has someone searching for them. Darwin Ruiz registered as a MHS Class of 1998 alumni. Darwin Ruiz added photos to their personal photo gallery. Darwin Ruiz updated his profile picture. 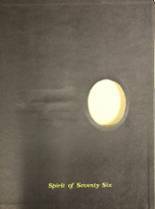 Darwin Ruiz requested a MHS yearbook from 1998. Lisa Goucher registered as a MHS alumni. Lisa Goucher updated their profile picture. Lisa Goucher added photos to their personal photo gallery. Farid Assar registered as a MHS Class of 1991 alumni. Farid Assar added photos to their personal photo gallery. Christian Sisemore Brown updated her profile picture. Christian Sisemore Brown registered as a MHS Class of 1984 alumni. Christian Sisemore Brown added photos to their personal photo gallery. Christian Sisemore Brown requested a MHS yearbook from 2018. Ronny N Lorelei Macomber registered as a MHS Class of 1998 alumni. Ronny N Lorelei Macomber updated his profile picture. Ronny N Lorelei Macomber added photos to their personal photo gallery. Dawn Mitchell added photos to their personal photo gallery. Dawn Mitchell registered as a MHS alumni. Dawn Mitchell updated her profile picture.